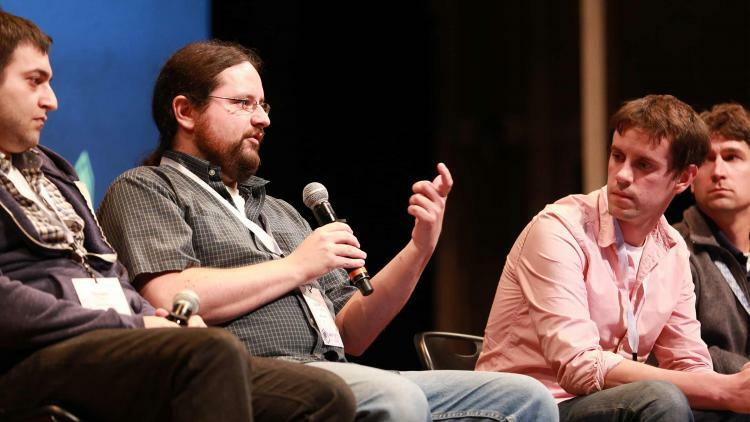 Made up of JAMF Software employees who address the security concerns of our customers on a daily basis, this panel session at the 2015 JAMF Nation User Conference (JNUC) was designed to help IT admins find solutions to their most pressing security conundrums. The audience was prompted to submit their latest security questions and concerns to the dynamic panel throughout the event. The panel also answered inbound questions through Twitter via #JNUCSecurity, created exclusively for this session. The panel kicked off swiftly, with moderator Charles Edge working through a hefty stack of questions and discussions prompted by the audience in response. The questions varied from recommended applications and best practices to inquiries about JAMF Software’s internal security processes. Can a user capture their data? How is data rest encrypted? How often are JAMF Cloud servers patched? Can we run disk encryption in JAMF Cloud? Do you run security assessments on the JSS? How often? Management Accounts: When will we be able to use this? Has anyone at JAMF Software tested monitoring tools? Is there a good way to ensure our clients are PCI compliant? Where does my data exist in the JAMF Cloud? The consensus of the panel discussion connected back to the power of ‘and’, and how that power connects back to the JSS as a framework. Among the questions asked about JAMF Software were whether the JSS can notify the system administrator when devices are checked in. The Casper Suite allows users to track when devices haven’t checked in as a smart group and can trigger real-time notifications when devices haven’t checked in within a certain timeframe. Another question was around the frequency in which the JAMF Software cloud servers are patched. According to Eric Krause, the servers are patched around possible vulnerabilities JAMF Software addresses and every time there is a new upgrade. Patches can also be processed ahead of time if the customer requests. Following the conclusion of the session, audience members flooded the stage to address additional security concerns not covered during the panel discussion. The panelists brought their A-game when it came to helping IT admins with their deployment and security pickles. Please contact your Account Manager if you have additional security questions that you would like JAMF Software to answer.